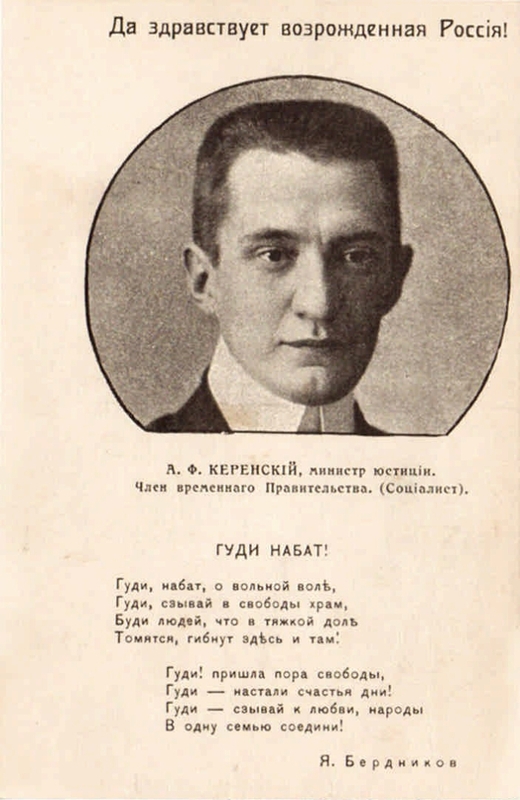 Electronic reproduction of the open letter: Alexander Kerensky, Minister of Justice. Member of the Provisional Government. (Socialist) [IsoMaterial]. Moscow: Typography of T. ID Sytin, . 1 postcard: offset. On the front side of J. Berdnikov's poem "Goody! ": "Goody, alarm, free will ...". Location: From a private collection. I. Presidential Library (St. Petersburg) .1. Kerensky, Alexander Fedorovich (1881 - 1970) - Postcards. 2. Russia (1917, February-October). The Provisional Government - Postcards. 3. Postcards in the Presidential Library fund (collection). 4. The people (the collection). 5. Power (collection). 6. 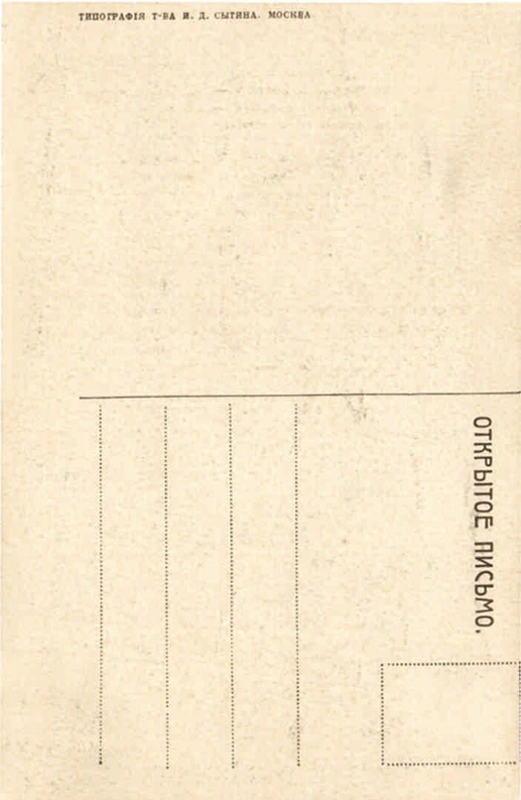 1917: February - October (collection). 7. Russia in the faces (collection). 8. Documentary cards - Russia - 1909-1917.